Buying undeveloped oceanfront land and building a house on it can be a great, more cost-effective way to obtain your dream home. Not only is it generally cheaper, but you get a new house that’s made to your specifications and that will be exactly what you want. You won’t have to worry about aging siding, shoddy construction, or cracked foundations because you will be able to decide what types of materials and construction methods are used to build all the different rooms of your homes. Before you jump right in though, there are a few basic pitfalls that you need to avoid so you don’t end up with a property lemon – one where you can’t build your home and you find it increasingly difficult to sell. The first thing you need to know to make a good purchase of land is to know why the property is for sale and why the previous owner didn’t develop it. Ocean front property is a scarce resource, especially in tourist hot spots, and finding land that isn’t developed is even rarer. Find out why other beachfront land was developed while this land wasn’t. It may be because the owner never had the time or money to do it or the property was recently split off from a larger tract of land, but you do need to watch out for a few things. First, there may be local zoning restrictions on the property preventing any construction from taking place on it. It could be in a key watershed area or the home to the breeding ground of an endangered species. Find this out at the local zoning board before placing any bids for the property. Also have someone come in and examine the property. There may be sinkholes or the ground may be so unstable that it won’t support the heavy foundations of a home. Make sure you’re not spending a fortune to build a home on sand. Finally, there may be problems with shoreline erosion. If the shore is eroding around the property, soon the home may be too close and have to be moved or succumb to the tides. Make sure that you find out all the answers to these questions before seriously considering buying the property. Another reason that a oceanfront property may not have been developed is the lack of local utilities. Make sure that the property is close enough to, at the very minimum, electric and water lines and has sewer access or can have a septic system installed. Cable TV, internet, and gas lines are also near essentials, especially if you plan on living in the house full time or renting it out. 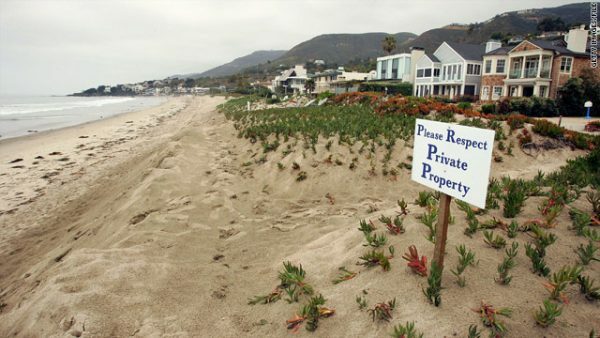 In properties that are close to other developed areas this may not be a big problem, but if you are looking at more secluded beachfront property, always check this, otherwise you might find yourself digging trenches in the backyard and reading by candlelight! 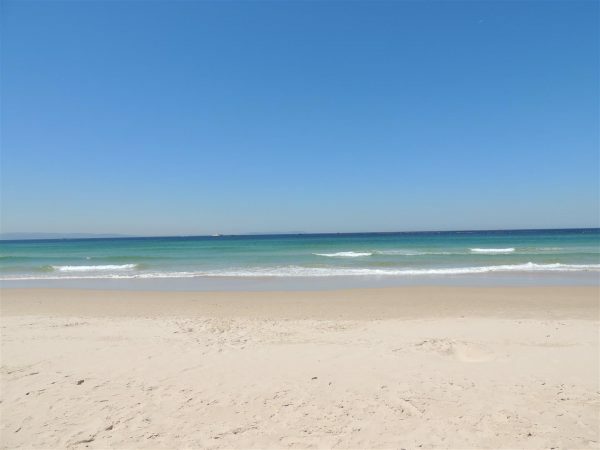 Finally, when you’re deciding whether or not to buy a certain beachfront property, always try to think about what other development might take place on the land around yours. While you won’t ever be able to know for sure, inquire about who owns the land around yours. Is it owned by other single-person landowners with homes on it? Or is the beautiful coastal forest behind your property owned by a large hotel chain that is eyeing permits to develop it? Some development can be good for your investment, especially if it places your property closer to nightlife, shopping, or other attractions, but some development may be bad, particularly if you were hoping for a more quiet atmosphere yourself. Always have an eye on the future. Buying oceanfront land for sale to build your dream home on can be incredibly rewarding. You’ll get to see your dream home sprout up exactly the way you want it without having to make any sacrifices. However, before you can do this you have to make sure that the property is able to support a home. By following this advice you’ll be well on your way to making sure that you can build a home on the land you purchase.